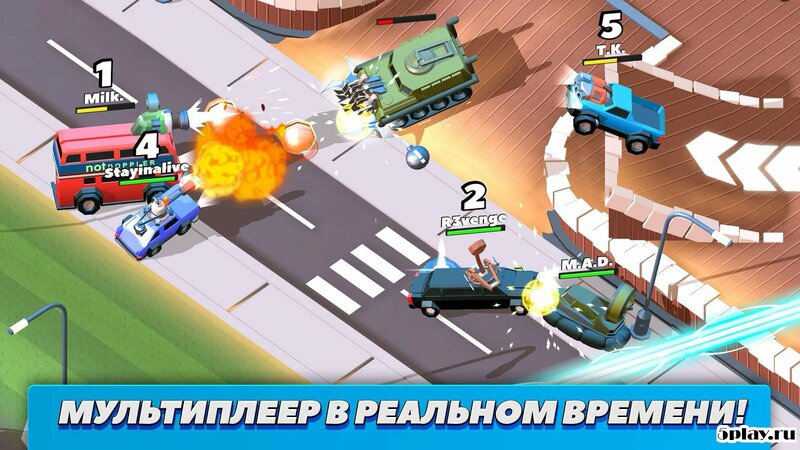 Crash of Cars – arcade racing with the top view, in which you need as long as possible to stay on the move, playing at a variety of locations. 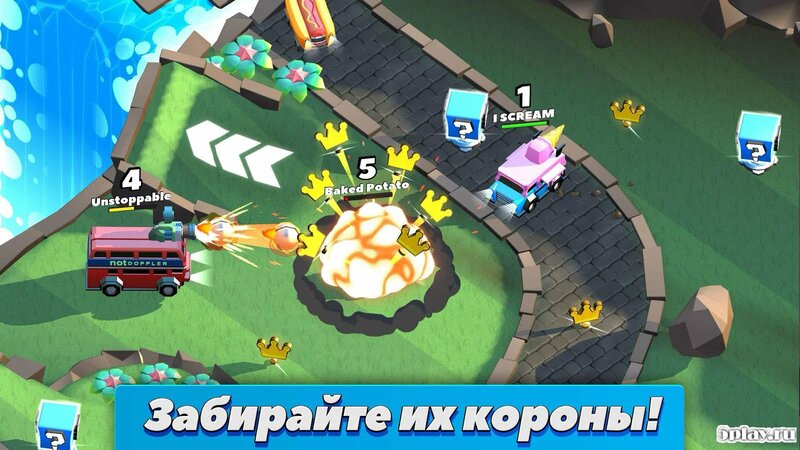 Gameplay is simple and consists of collecting as many crowns scattered throughout the map. Car player is thrown out on the playing field, where there are cars and opponents, trying not only to prevent but also making every attempt to bring a user down. To confront them will help located here and there are improvements in the form of firearms and bladed weapons, and explosives. 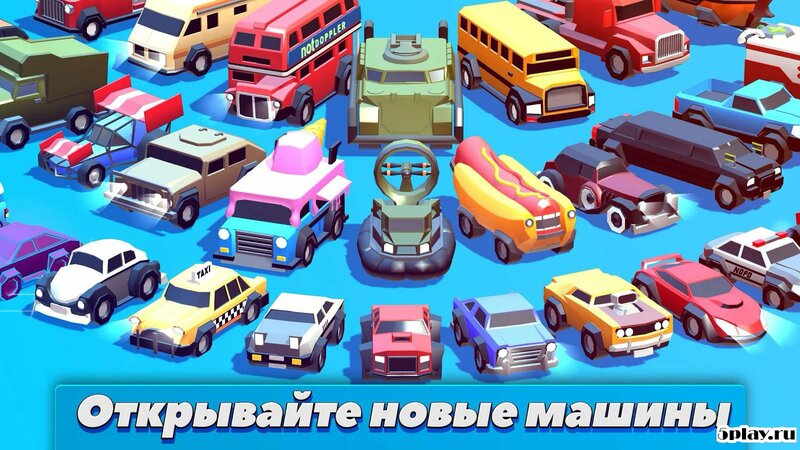 Sooner or later, the margin of safety the machine is running out and the user is sent to the main menu, where the raised crowns turn into play money, which can expand the assortment of fleet of school bus, heavy truck or racing car. In total there are about 30 vehicles for every taste. Graphics pleasing to the 3D animation of cars and tracks, delivering an engaging gameplay. Control is done by pressing the right and left sides of the screen. The vehicle accelerated independently and has no brake pedal so you only need to guide him. 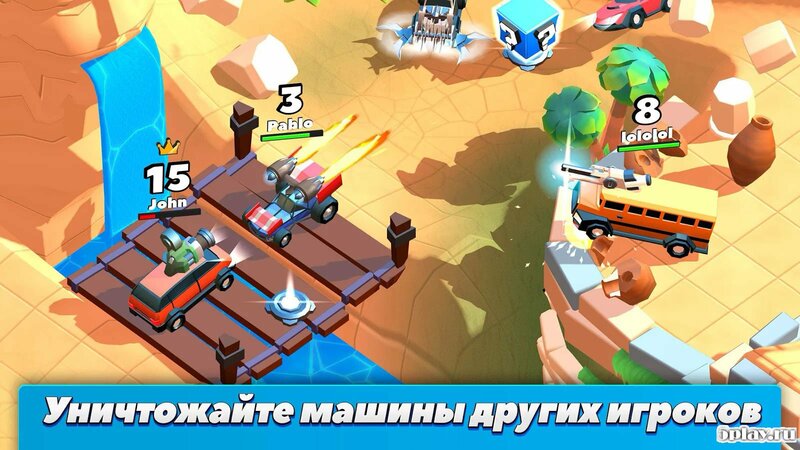 Crash of Cars – great arcade racing, which is a great time-killer. They will appeal to all fans of the genre.